with clients and creditors to improve credit profiles. We are a national credit repair and restoration company working with clients and creditors to improve credit profiles. Our credit experts communicate with credit bureaus by challenging questionable, inaccurate, outdated, misleading, or unverifiable data on consumer credit reports. We investigate any mistakes which may be lurking in your credit report to have it resolved and repaired, allowing you the financial freedom and advantages a good credit score accompanies. We don’t only work to remove the negative inaccurate information from your credit report. We also give you the information you need to increase your credit score. You can expect to see results in as little as 30 days with it taking up to 90 days for some. You will need to pay a credit analysis fee of $59.95 in the beginning. 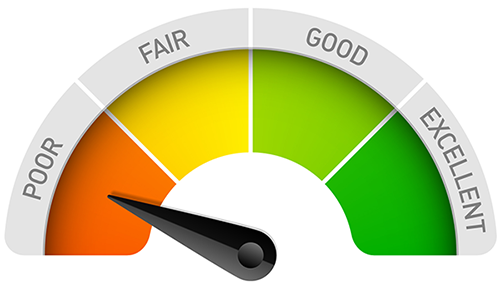 During this process, we will give you a detailed report that explains what is lowering your credit score and what can be done to increase the score. If you decide you like the direction outlined, the fee is $69.95 per month. You are not obligated to sign up and can cancel your service at any time. You are not charged a fee until work is performed. Once you complete the sign up process, we will begin working on your credit report to remove any inaccurate information. The program also provides you with the information you need to keep working on raising your credit score. If you are tired of dealing with the consequences of a low credit score, it is time to do something about it. Did you know there are more than 40 million mistakes on credit reports? That means you may be suffering from a mistake that is costing you more than just a lot of stress. We understand the unforeseen can happen. We believe everyone deserves a second chance, and our credit experts are here to help. With a reputable name and experience you can trust, let us assist you in gaining back a trustworthy credit score. We strive at improving your credit, and arm you with the proper tools and knowledge to keep it. Let our credit repair experts help you today.